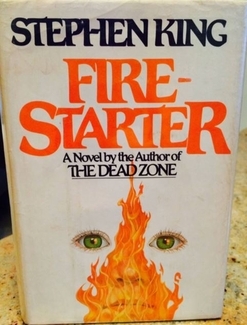 This is a great HAND-SIGNED used and slightly worn copy of Firestarter! We never sell copies or reproductions of any kind; this book has been hand-signed by Stephen King. This book was signed in-person at CBS This Morning in New York City on September 24, 2014.